Peter graduated in 1996 and worked at a large teaching hospiatal in Adelaide for three years, in addition to working in Sports Private Practice in that time. He then ventured off to the UK travelling and working for 4 years with his now wife Veronica. It was there that they both become interested in Pilates and did their initial training with APPI in London. 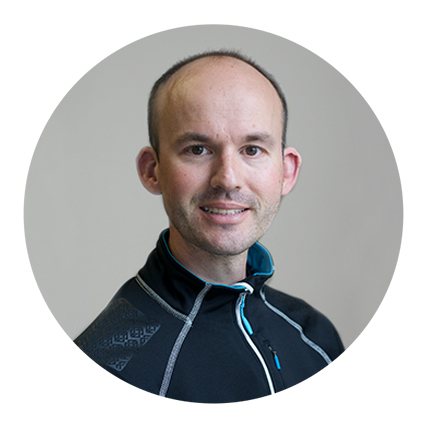 Since returning to Adelaide in 2004 Peter has been working in private practice and teaching pilates studio and matwork full time. With a special interest in back pain and headaches the majority of his clinical work focuses on these two areas, using a biopyschosocial approach to management. Pilates is often a crucial component in the management of these conditions. Peter and Veronica now own and run Move Physiotherapy and Pilates Studio with two clinics in Adelaide, offering a variety of services to help keep people active.